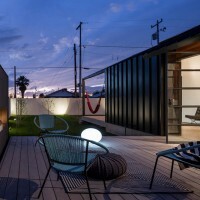 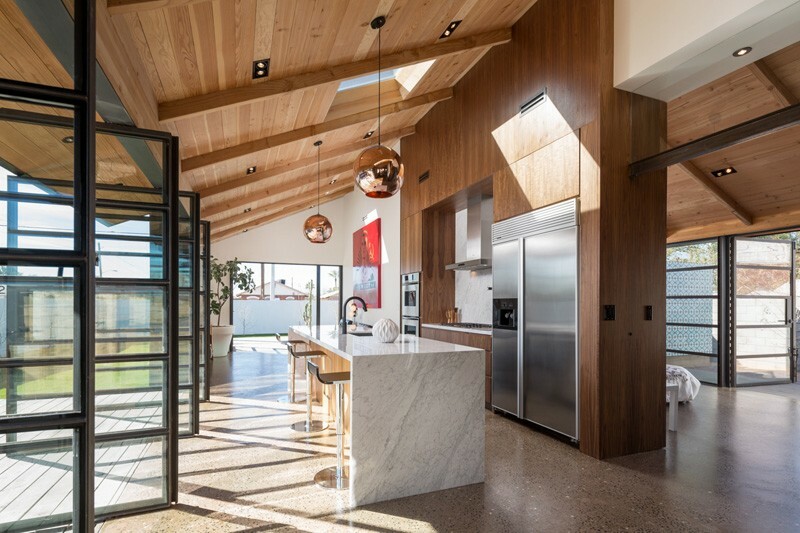 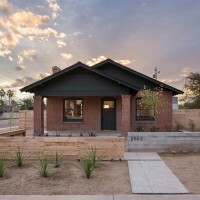 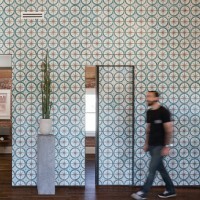 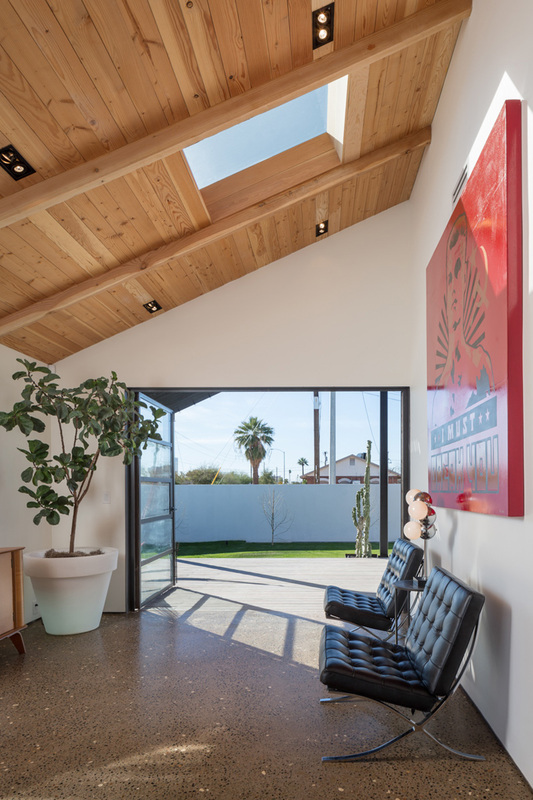 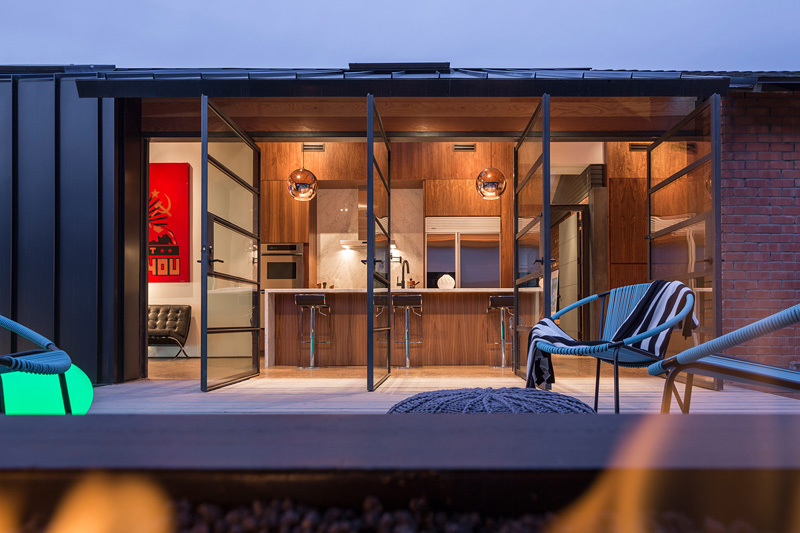 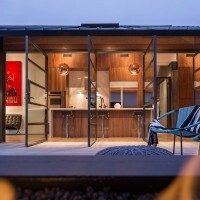 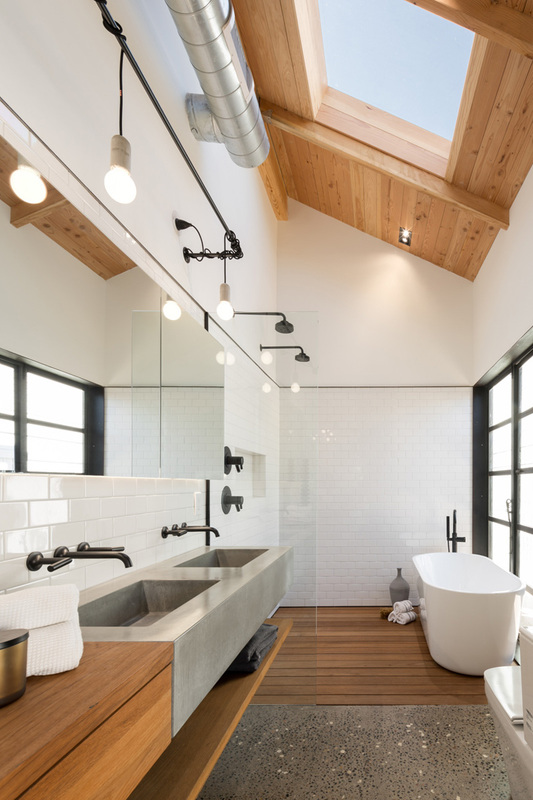 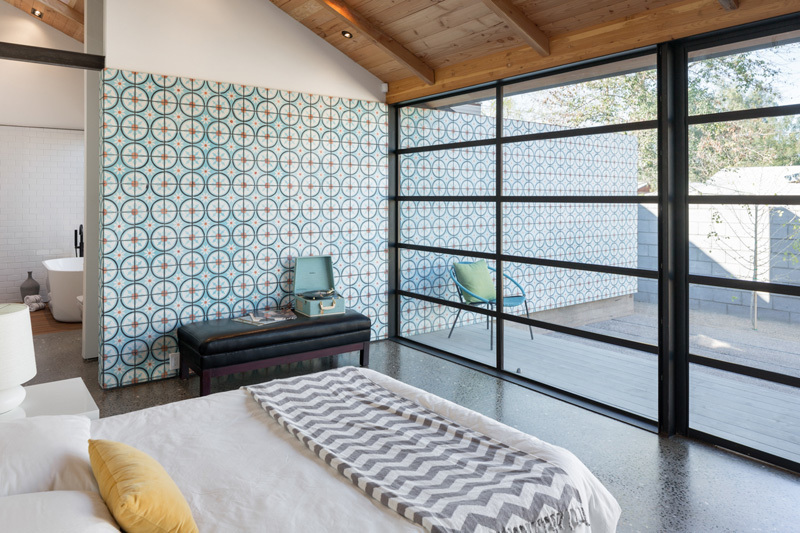 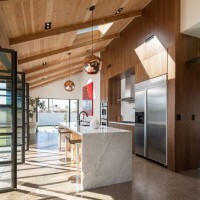 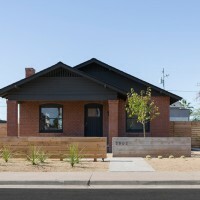 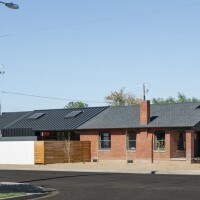 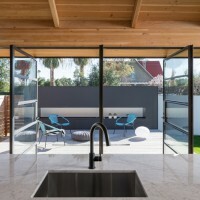 Joel Contreras and Jonah Busick worked together to design a contemporary remodel and addition to a 1927 bungalow in Phoenix, Arizona. 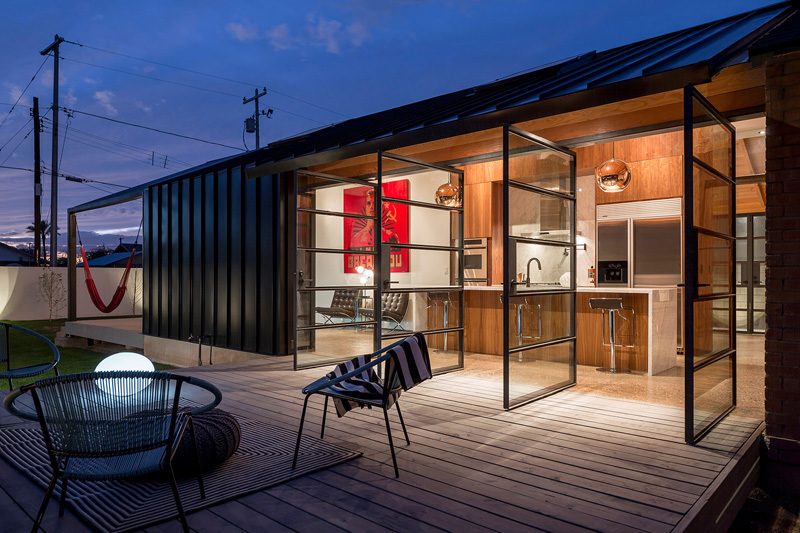 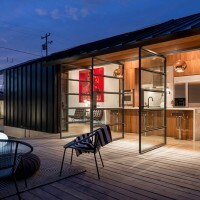 “Twenty three-02” features an 800 square foot glass and steel addition with a walnut and marble kitchen and a master bedroom suite. 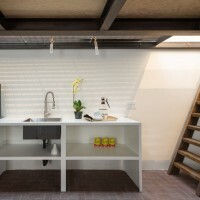 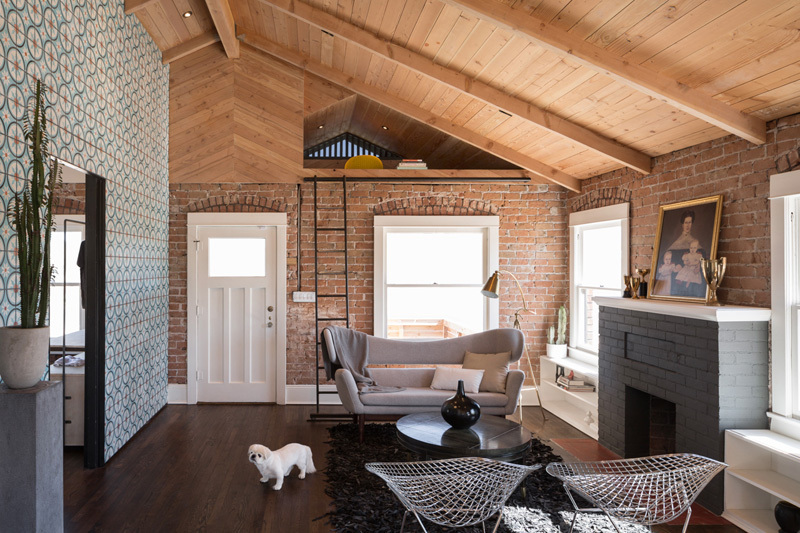 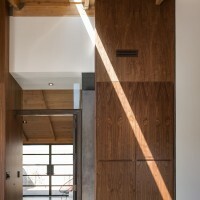 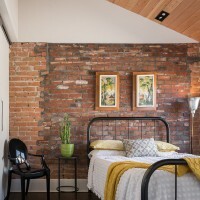 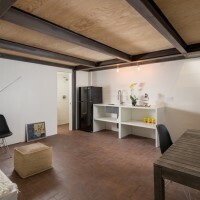 The existing Carriage House was remodeled in to a Guest House re-using the old wood floors.